Muhammad Aziz was educated at San‘â’ University in Yemen, where he majored in English literature and minored in Arabic language. After graduation, he had the opportunity to join several circles of local scholars, where he received traditional training in Arabic syntax, recitation of the Quran, speculative theology, law and relevant topics in Yemeni as well as Islamic history. He then pursued graduate study at the University of Michigan. His doctoral dissertation, Medieval Sufism in Yemen: The Case of Ahmad Ibn Alwân, was written under the direction of Professor Alexander Knysh. While at Michigan, he took a number of courses in Arabic Morphology, Phonology, and Syntax and especially Applied Linguistics and Methods of Teaching Arabic Language. 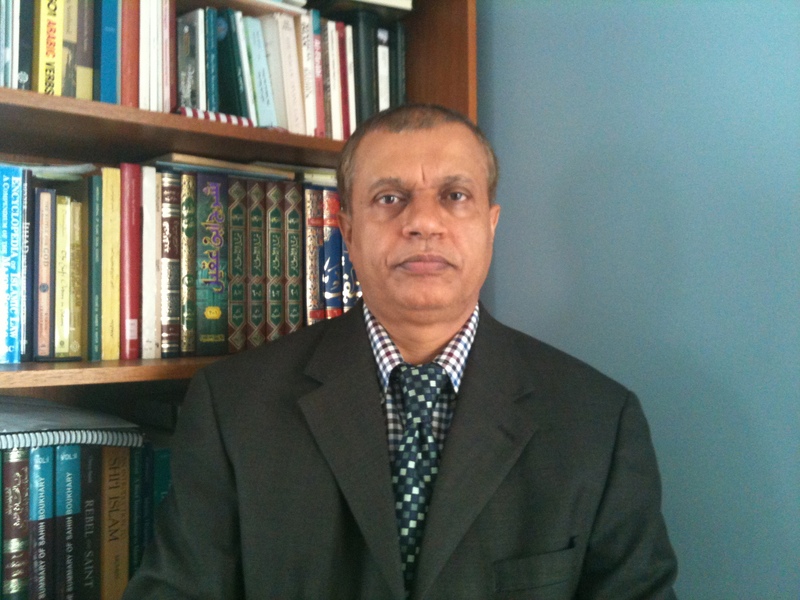 Throughout his graduate studies from 1998 to 2004, he taught a number of courses in Modern Standard Arabic under the supervision of Professor Raji Rammuny. His next teaching post was at Princeton University, where he was a lecturer in Modern Standard Arabic in the Department of Near Eastern Studies. In 2005, he joined the faculty at Yale, teaching Elementary, Intermediate, and Advanced Modern Standard Arabic. His pedagogical approach involves particularly the integration of new ideas and methodologies that may contribute productively to enhancing the linguistic, communicative, and cultural competencies of learners. He regularly participates in national conferences on the teaching of Arabic as a foreign language. He has published Religion and Mysticism in Early Islam: Theology and Sufism in Yemen, I.B.Tauris, 2011, co-authored Advanced Arabic Literary Reader, Routledge 2016, and currently working on a translation of some medieval treatises written by Ibn Alwân (d. 1266) as well as a manuscript draft on the Mystical Dimensions of the Arabic Language: Sufi Aspects in the literary Thought of Najib Mahfouz. Muhammad is also a board member of both National Yemeni Arab American Association (NAYA) and The ymeneiamerican.net. He is also a certified ACTFL-OPI-Rater in Arabic.